At the heart of Liverpool’s St George’s Quarter and directly opposite Lime Street Station, St George’s Hall is a breathtaking venue. 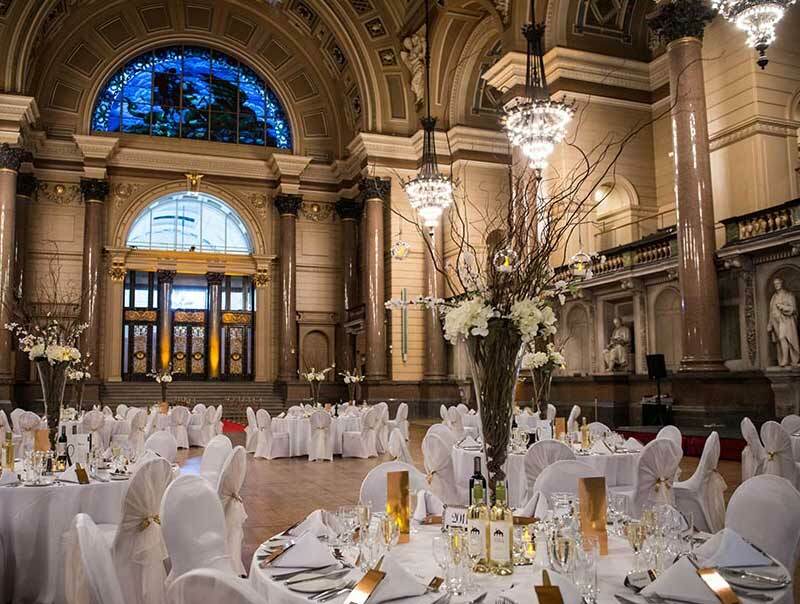 St George’s Hall provides a beautiful setting in which to get married, the magnificent gardens and historical buildings give a stunning backdrop for your wedding photographs. There are a selection of fabulous rooms available; ‘The Concert Room’ is an exquisite, intimate location and is licensed for civil ceremonies and ‘The Great Hall’ can host up to 600 dining or 800 for a drinks reception and you can opt to have the famous Willis Organ played for a grand bridal entrance. St George’s Hall is situated in the heart of Liverpool City and is only an hour away from Manchester. View location.